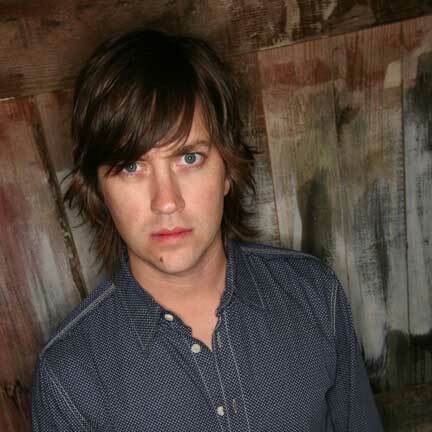 Catch Rhett Miller at Shipping & Receiving this weekend. 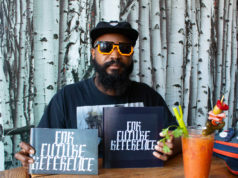 Editor’s note: The following are recommended in addition to The Dangits’ album release show at Lola’s Saloon Saturday and Collin Herring’s CD release at The Aardvark Friday. 1.) Rhett Miller, naturally, is the biggest reason to spend Saturday night at Shipping & Receiving (201 S. Calhoun St., 817-343-6393). The native Dallasite co-founded and leads the Old 97’s, whom I hear are quite the attraction among Americana lovers. But along with Dallas’ Salim Nourallah, the bill also includes two Fort Worth acts that are sort of in restart mode: CoyoteHead, featuring ex-members of dearly departed alt-country rockers the cut*off, and chanteuse Brenna Manzare, who’s been on hiatus for a good while. Should be interesting. Tickets are $15. 2.) New Theater Fire is on the way. 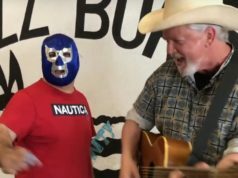 Maybe you’ll get a taste Thursday at Fred’s Texas Café (915 Currie St., 817-332-0083), where Theater Fire songwriter and cancer beater Curtis Heath will perform with Jayson Wortham and Stumptone frontman/founder Chris Plavidal. Oh, yeah. New Stumptone is on the way too. Check ’em out Saturday in Dallas at Double Wide (3510 Commerce St., 214-887-6510) with George Quartz and Wiving. As an English lit major and aspiring poet, I was floored, amazed that a person whom I’d known only as a, uh, romantic combatant was also an artful deep thinker. Oh, Name Redacted! How could I have been so blind, my sweetest Name Redacted?! And then I heard the freaking song on the radio. I felt so stupid. Not because I thought she was trying to trick me. She was really too good –– and too smart –– of a person to try to pass off several dozen incredibly popular words as her own. No, I felt ridiculous for being so out of touch. Name Redacted was lots of things, but what I’ll always remember –– and appreciate –– her for was her great taste in music. If not for her and her slightly older brother, I probably never would have fallen in forever-love with The Smiths, R.E.M., New Order, Better than Ezra, and Toad the Wet Sprocket. “All I Want” and “Walk on the Ocean” –– could there even be two better, more cinematic, more beautiful radio-rock tunes from the ’90s? If there are, I haven’t heard them. In October, Toad (that’s what we fans call them, “Toad”) put out an album, New Constellation, the band’s first in 16 years, and on Friday will be in Dallas at House of Blues (2200 N. Lamar St., 214-928-BLUE). Murphy is in Dallas tonight (Wednesday) at Granada Theater (3524 Greenville Av., 214-824-9933) with New Orleans’ My Jerusalem and Dallas’ Nervous Curtains.